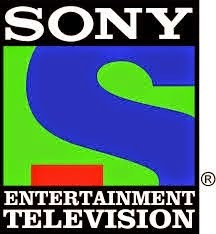 Sony Entertainment Television is soon going to present a New to his viewers named Zinda on Sony Tv Channel. "Zinda" Tv Serial is produced by Rowdy Rascals Productions House.Anirban Bhattacharya is the Producer of this latest sony Tv serial. This new tv show based on the real life incidents which is faced by common people . This show present the Courage of these people how they survived in Natural Calamities and Terrorist Attacks.How people face these type of difficult situation in their life. This show is episodic tv show. In every episode of this show . You will see a New story .But the stories is based on the real Life Incident which is faced by common people like us. Every-time this show present a new survival story how people survived in Natural Calamities and Terrorist Activities. This is an Episodic show So every-time you will see a Different Star-cast. This show is expected to start from this month of May 2015 . Lets see when sony tv announced its promo and Official Timings.